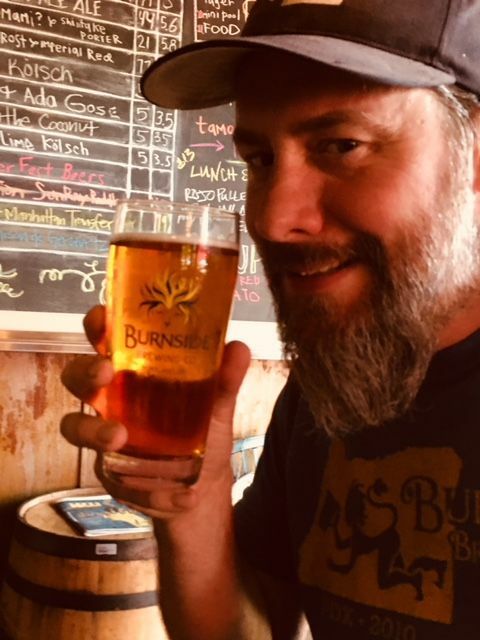 A weeks worth of craft beer events including fundraisers for the National Brain Tumor Society, new beer releases, Cider Riot!’s Pubiversary, and more for the week of August 2, 2018. Gigantic Brewing Company teams up with Bailey’s Taproom for an evening of beer with its latest release Cloudbursting Hazy IPA a collaboration with Cloudburst Brewing in a firkin and 2017 Bourbon Barrel-Aged Most Most Premium Russian Imperial Stout on tap! 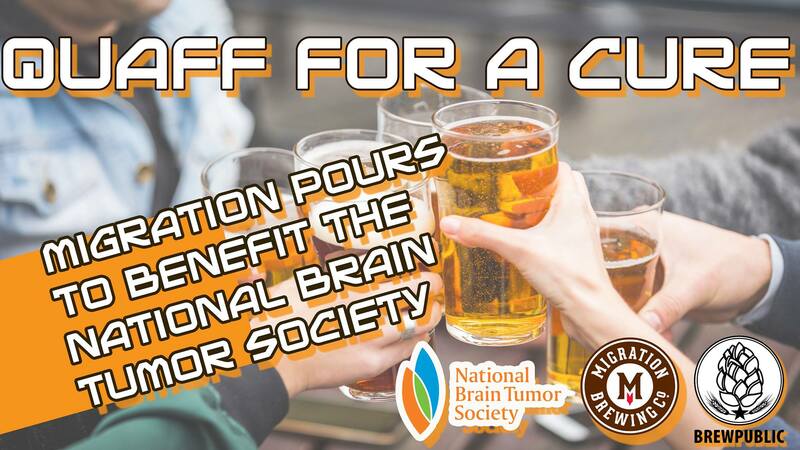 Best of all, 100% of proceeds of both beers go to the National Brain Tumor Society on behalf of Team Brewpublic National Brain Tumor Society. Cloudbursting IPA is described as a super juicy, soft and fluffy IPA is loaded with Experimental Hop 522, Citra, Crystal and Simcoe hops creating a tropical, citrusy and dank deliciousness. 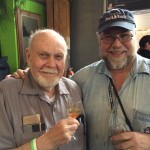 We KNOW these guys have access to some of the best hops in the world so here’s a chance to try the beers of Yakima Craft Brewing Co.
6-8 pm Friday August 3, McMenamins 23rd Avenue Bottle Shop, 2290 NW Thurman St.; 21 & over. Being right down the way from the Edgefield distillery, the Edgefield brewery has access to lots of barrels and Coolship No. 2 made full use of the bounty: This Wild Ale was made with Boysenberries, spontaneously fermented in American Oak and aged on fruit for three months. This is the second beer out of Edgefield’s Coolship Program, emulating a centuries-old method from brewers of Belgian Lambics. After brewing, the beer is cooled in open-air ‘coolships’ allowing contact with native, wild yeast. 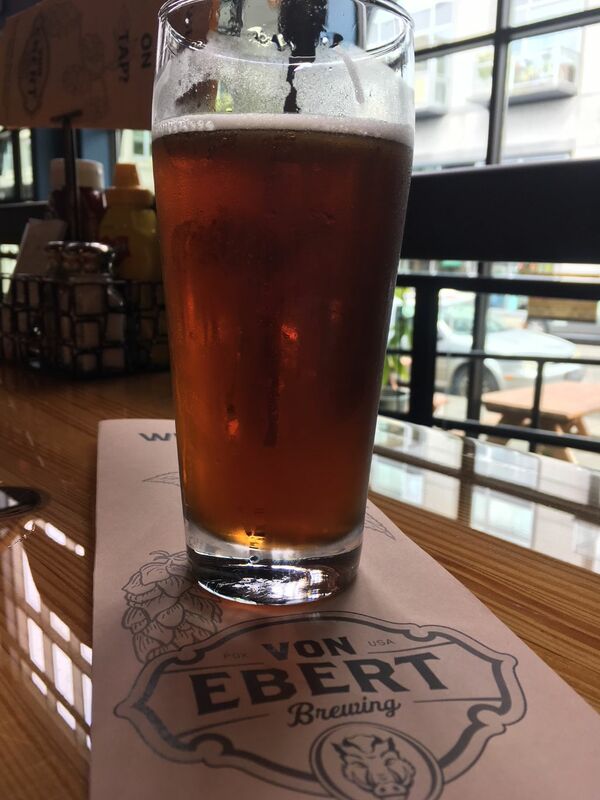 This beer is tart, fruity and one-of-a-kind. 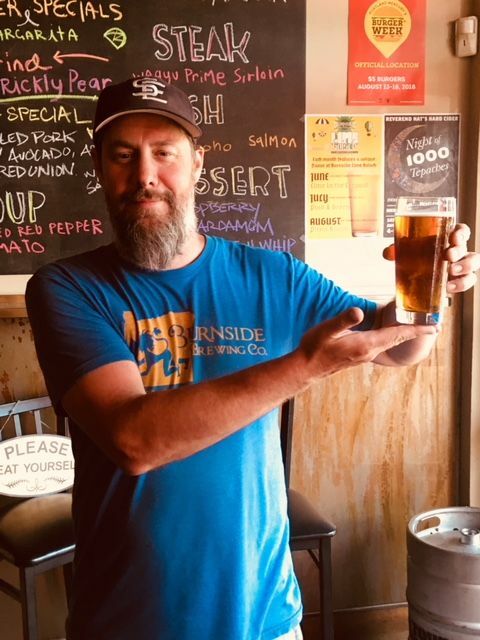 Dunk your friends, drink drink Base Camp Hop in the Pool Helles and beat the heat, along with a chance to win swag or a gift card to US Outdoor Store. Proceeds benefit Friends of the Columbia Gorge & Trailkeepers of Oregon. Saturday August 4, Uptown Market, 6620 SW Scholls Ferry Rd., Beaverton; 21 & older only. 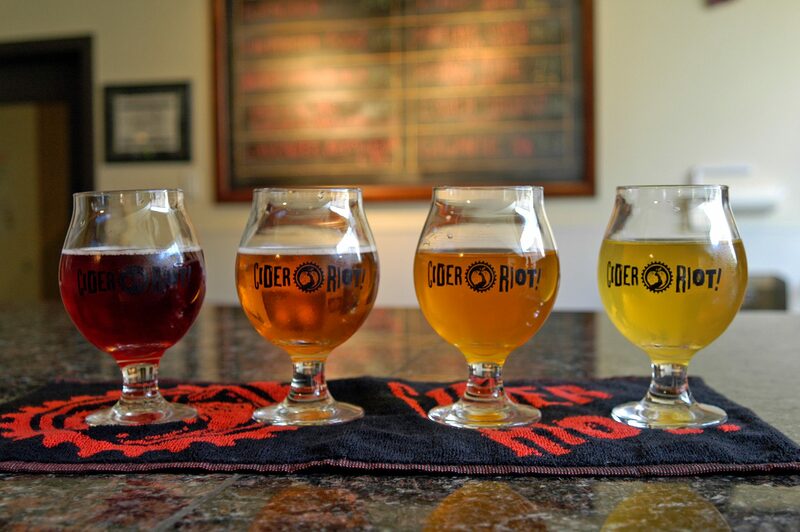 The Cider Riot pub turns two on Sunday, and to celebrate the pub is offering up an exceptional lineup of barrel-aged, reserve, and medal winning ciders from their cellar: Featured on taps will medal-winning ciders such as be 2015 & 2016 1763 Revolutionary West Country Cider, 2017 Wild Fermented 1763, Shaken Tree Yarlington Mill cider, and four barrel aged ciders will be tapped as well. They’ll have a fine array of entertainment as well, with DJ Buttercup Joe spinning the finest cider drinking tunes, from the earliest roots of Scrumpy and Western to present day from 2-3 pm followed by the Bridgetown Morris Men dancing and singing in the cidery from 3-4pm. Morris dancing, a form of traditional English folk dancing has long been associated with cider, and the Bridgetown Morris Men hold a pub sing at the Cider Riot pub every Wednesday night, singing traditional English, Irish, and Welsh drinking songs and sea shanties.